Light from the sun reaches earth in nearly 8 minutes and 20 seconds, obviously not a matter of joke. Owing to its speed, the sunlight crosses 150,000,000 kilometers in the span of a lazy walk to home from your neighbors. This fascinating phenomenon is enough to make us realize that time can be really quick and its measurement must follow a knitter technology. 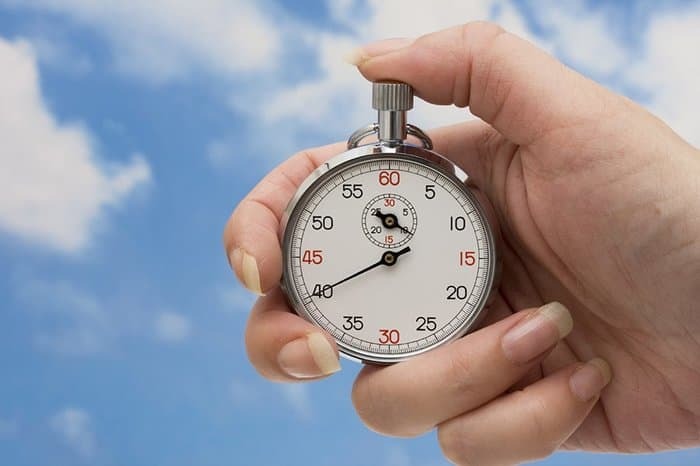 Expectedly, a National Aeronautics and Space Administration (NASA) team has just developed a stopwatch that can measure a billionth of a second and synchronize with its speedy measurement. Invented in NASA’s Goddard Space Flight Center in Greenbelt, Maryland, the stopwatch will assist in measuring Ice, Cloud and Land elevation. The machine developed, falls in the supporting equipment that will be used in ICESat-2, scheduled to launch in 2018. With six green laser beam from the satellite, the scientists will be able to compute the distance between the satellite and Earth with high precision. The result will possibly reveal the height of the sea ice, glaciers, forests and other surfaces on Earth. According to Tom Neumann, ICESat-2’s deputy project scientist, a minute measurement of a couple of centimeters requires a very fast clock. Just to make you understand, the team reveals that even a clock measuring a millionth of a second would fall short because it would measure only till 500 feet, height of a multistoried building. However, to measure, the smallest change in the surface under any circumstances will be left. Being the most accurate measurement quanta, a photon stream needed to dance in harmony with a new set of clocks, completely devised by NASA’s engineers and integrated with the Advanced Topographic Laser Altimeter System, or ATLAS, the sole instrument placed in the satellite. The instrument will work like a recording machine, which will throw light beams of wavelength 532 nm on Earth and record the time for a photon to return back. The flight distance, calculated with the satellite’s position reveals the information they seek. The stopwatch is dependent on the laser pulse, where out of many photons some are assigned to start the pulse detector triggering the timer. While the satellite is responsible for detecting its position in space, depending on that information ATLAS chalks out the expected time of returning photons. As a matter of fact, photons from the Mount Everest will come sooner than the Death Valley as the distance is less in the first case. In the instrumental set-up, the return path of photons is through the telescope receiver system coupled with filters that block everything that doesn’t match the shade of the laser’s green. The winners in the race make it through the photon-counting electronics card, stopping the timer. However, most of the returning photons are not actually from the laser, but the reflected sunlight matching the color. However, the effect can dismiss if the laser is shot 10,000 times a second and the true data gives the information about the elevation. The clock itself is a technical jargon comprising a GPS receiver that counts each second giving information about satellite time and an ultrastable oscillator that in fact divides and counts 10 nanoseconds in each GPS-derived second. However, this being not enough, those 10 seconds are divided further to reach hundred picoseconds measurement. Computer programs support the system by enhancing the precision in measurement, predicting the temperature change on electronics and more.